After its start in 1993, ETFs have enjoyed steady popularity on the stock exchange. Furthermore, they have continued to acquire assets rapidly. If you are new to ETFs, just imagine them as securities which you can trade like stocks. The fact that you can swap them is what makes them appealing. It is the main reason why many investors and active traders work hard to get them. While it may seem like it is just a bonus, trading ETFs like a stock is so much more than that. Unlike mutual funds, their price can jump during the day, and you can take advantage of that. Mutual funds do not allow these speculative measures, but ETFs do have daily fluctuations. For example, you could buy an ETF at one price that is almost the same as the index. After a few hours, you can decide to sell it, and there is a chance of a profit there because the price spiked during the day. And that is not all. Apart from allowing trade intraday, ETFs serve the investors well for speculative trading actions, like short selling. Moreover, the whole market appears as if it were just one single stock – which makes the investor’s job a lot easier. At first, you might seem confused by the ETF popularity. However, once you realize how much money you are saving by using them, it all seems worth it in the end. Firstly, they cost less, and they still have all the advantages of index funds like the low turnover. In terms of numbers, mutuals funds fees are between 0.01% and 10%, while ETFs go from 1.10% to 1.25%. However, it does not mean that you do not have any expenses. You have to trade the ETFs through a brokerage firm, so you have to pay the commission. Nevertheless, if you want to avoid negating your profit, you could always try to find the low-cost ones, and invest in increments. Furthermore, ETFs come in handy if you are looking to buy-and-hold larger investments. What’s great about ETFs is that they help the investors create a fantastic portfolio. There are many of them available, and they cover all of the major indexes, as well as equity markets. Although there aren’t many opportunities for fixed income, it does not mean that you do not have options. You can easily find ETFs that contain different bonds – from long-term to short-term. In addition to that, you can get ETFs that pay dividends as well. However, you should check if they have any fees regarding the reinvestment of the dividends. 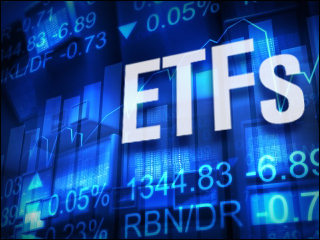 The whole purpose of investing in ETFs is that you are getting a valuable and versatile portfolio. That way, you could meet your specific asset needs quickly and efficiently. Paying the capital gains tax can lower your profit severely, and that’s is where ETFs shine through. Their unique structure allows the investors to trade vast quantities of them for shares of stocks which they are tracking. That way, you can put off most taxes until you sell your investments. In addition to that, you can always pick the ETFs that pay dividends or the ones who lack the large capital gains distributions. Once you add everything up, the popularity of ETFs is not surprising. The fees are low, and you can easily adapt the portfolios. On top of that, they are a way to make the investor more tax efficient. However, if you are interested in just the passive management of the funds, you should stick to the traditional index mutual funds. That also applies to all those who regularly make somewhat small investments. Because the brokerage commissions can get quite expensive, ETF transactions are not the best option for investors who are still accumulating funds.